Don’t let packing stress stop you from taking the perfect summer road trip. Follow these five tips to streamline your way from to-do lists to adventure! The smell of musky redwood, the echo of young voices, flip-flop tan lines, and open roads—that is what I think about when summer break begins. Every year we plan an epic family adventure. One year we cruised Highway 101 from California to Oregon. We slept beneath the Giant Sequoia, explored tidal pools, and played on the rugged beaches of the Pacific Northwest. Another year we explored the desert, visiting National Parks such as Zion and Bryce Canyon. However, along with our dreams of scenic expanses, used to come a dread of packing everything and everyone into our four-wheeled adventure mobile. But we don't panic anymore. Now, we just apply these five simple rules to streamline our way past the stress and onto the fun of a family road trip. Save yourself time and frustration by teaching your family how to pack their bags efficiently. As a jack-of-many-trades family, we tend to pack in as many activities as we can into our travels. Instead of packing by individual, we share luggage and pack by activity. Inside each bag, we organize each person’s stuff using the Pack-It™ System. These things are a game changer! For example, our everyday clothing might be in one bag while all our gear for a day at the beach might be in another bag. This limits the amount of digging that we have to do when, say, a storm hits. We can access one bag and grab everyone’s jackets easily. Less really is more. We don’t actually need as much as we think we do. If ever there is a time to let your daughter wear a dress hiking and let your son wear dirty jeans again, it is on a vacation! Don’t bring the whole closet; instead, embrace a minimalistic mentality. Choose a few outfits that can be mixed-and-matched to create new outfits for multiple days. In a similar vein as the previous rule, I try to pack clothing that is wrinkle-free and dries quickly. Not only does this clothing work well for outdoor adventures and city exploration, but it can be easily cleaned in a sink if necessary. Packing toys and car activities is essential to traveling with children. Weeks before our trip, I start collecting and organizing crossword books, blank journals, games, and small building sets into bags such as the Eagle Creek Pack-It™ Cubes. When it comes time to pack, I can toss them in the back seat with the kids, without having to battle about which toys are or are not coming amongst our three kids. After trying a large variety of luggage, we’ve found we prefer suitcases such as the Expanse™ Flatbed 32and the Expanse™ Drop Bottom Wheeled Duffel 32, as they are big enough to hold all of a family's belongings and they stay protected from the damage that is bound to incur from road tripping. In addition, they keep our gear and clothing in place without any jostling! Now you are packed and ready. Smiles still grace the faces of those you love the most. Essentials are packed, the map is out, and the tank is full. Go find your mountain to climb, your creek to fish, and your beach to walk! 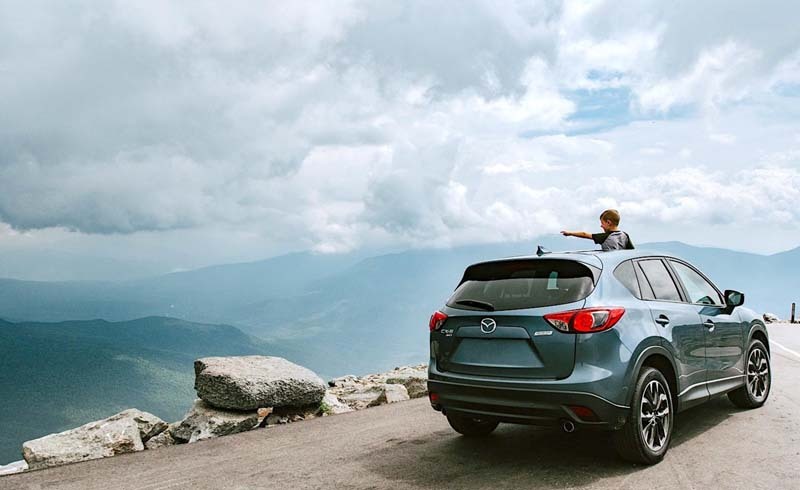 The open road awaits you.